Dr. Kathleen Nadeau is a clinical psychologist in the Washington, D.C., area. She earned her Ph.D. in clinical psychology from the University of Florida, and has specialized in the issues of attention and learning disorders for more than 20 years. She currently serves as Director of the Chesapeake Center of Maryland in SIlver Spring. She also lectures and gives workshops both nationally and internationally on a variety of topics including: Giftedness and ADHD, Workplace Issues for Adults with ADHD, Women and Girls with ADHD, College Students with ADHD, and Life Management Issues for Individuals with ADHD. She has appeared on the Today Show, the Morning Show, and appeared in the video aired on PBS titled, OUTSIDE IN: A Look at Adults with Attention Deficit Disorder. She also appears in another well-received video, ADD: Transition to College – Passport to Success for the National Attention Deficit Disorder Association. Dr. Nadeau is the author of more than ten books on ADHD. Her best-selling children’s book Learning to Slow Down and Pay Attention, is now in its third edition. Her two books for teens, School Strategies for ADD Teens and [email protected] are both top-selling books for adolescents with ADD (ADHD). She is also the author of A College Survival Guide for Students with ADD or LD. Dr. Nadeau turned her attention to adult ADHD in the early 1990’s and is the editor of the first book for professionals on adult ADD, A Comprehensive Guide to ADD in Adults: Research, Diagnosis and Treatment. 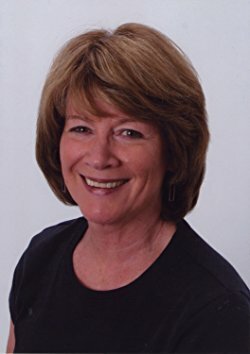 She followed this book for professionals with several books directed at helping adults with ADD better manage their lives. 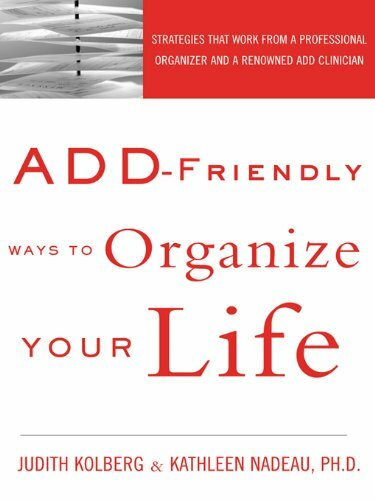 These include the best-selling book ADD-Friendly Ways to Organize Your Life, Adventures in Fast Forward – Life, Love & Work for Adults with ADD, and ADD in the Workplace. For the last decade, Dr. Nadeau has devoted her attention professionally to the issues confronting girls and women with ADHD. Her groundbreaking 1999 book, updated in 2015, Understanding Girls with ADHD, co-authored with Drs. Quinn and Littman continues to be the only book that focuses on the diagnosis and treatment of girls. She was co-editor of ADDvance: A Magazine for Women with ADD and is co-founder of the non-profit organization, The National Center for Gender Issues and AD/HD. In 2002, Dr. Nadeau co-edited with her partner, Dr. Quinn, two volumes on these important topics,Understanding Women with ADHD and the only text on ADHD in women for clinicians, Gender Issues and ADHD: Research, Diagnosis, and Treatment.